Celebrate Cinco de Mayo with Vegan Enchiladas! 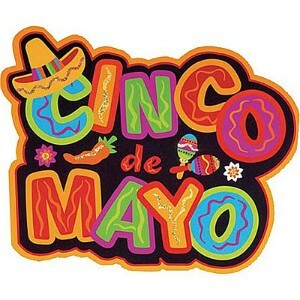 Not that I need an excuse to enjoy Mexican food but it helps me explain to my husband why we’re having Mexican AGAIN! I really could eat it every day! My hubby on the other hand doesn’t really like it (blasphemy! )… I guess he should have thought about that BEFORE he married into a Mexican family! And, who says vegans can’t eat great Mexican food! You won’t miss the meat or cheese in these black bean quinoa enchiladas! Optional add-ins: zucchini, sliced portobello mushrooms, corn, shredded kale or spinach. Like it spicer? Add red pepper flakes or a pinch of cayenne! Preheat oven to 350 degrees. Prepare enchilada sauce (recipe below) or use your favorite vegetarian enchilada sauce. Spray medium pan with non-stick cooking spray. Add garlic and 1/2 tsp. black pepper. Saute on low for about 5 minutes. Add sliced red pepper and diced tomatoes and saute until desired doneness (is that a word?) – about 5-8 minutes. Add remaining ingredients and mix well. Microwave tortillas for a few seconds to make them more flexible so they don’t tear. If you don’t mind the mess, first dip the tortilla into the warm sauce. Lay on flat surface and add about 2 tablespoons of filling onto center of tortilla. Roll it up and place in large casserole dish. Continue with the remaining filling and tortillas. Pour desired amount of sauce over top of enchiladas. Bake for 20 to 25 minutes. Serve with guacamole, salsa, & vegan sour cream. Saute first 5 ingredients over medium heat for 5 min. Add vegetable stock or broth and simmer on med-low heat for 15-20 mins. If you do not use right away, you can reheat before adding to enchiladas.